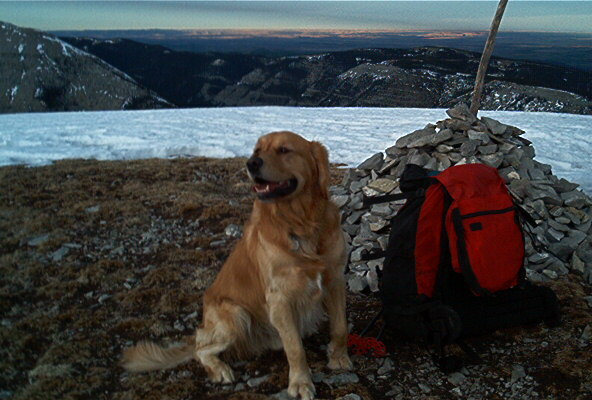 Buddy (8 years) with Kirsten (19 yrs) near summit of Moose Mountain, and at summit below. Kona (2 yrs) on Cox Hill in early February, Moose Mtn behind. Buddy (8 yrs) and Kirsten on Prairie Mountain in May. Moose Mountain behind. Below Buddy (3 yrs) with Jason in December.